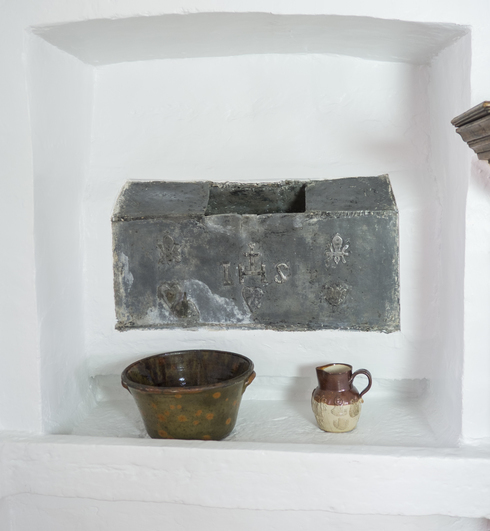 The sink is an original fixture of this wing, built at the end of the 17th century. At the time, there was no running water. One of our sisters had to refill the reservoir when it was empty. Operated with a tap at the bottom of the reservoir, the sink served two purposes: one practical and one symbolic. While it was practical to have constant access to water, the IHS engraving reveals that the sink was sacralised.